The slow death of DSL will cause the rapid rise of expensive broadband for underserved areas if Verizon’s Fusion home broadband service is any indication. 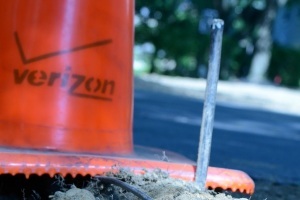 Verizon(s vz) on Tuesday launched its long-planned home broadband service powered by its LTE wireless network — trading slow in-ground copper for expensive airwaves on its end. And the consumer? They trade unlimited slow broadband from a wire for faster service that’s going to cost a pretty penny. All of the plans are usage-based, which changes the broadband paradigm from one of limited bits to limited bytes. Verizon’s plans begin at $59.99 of monthly access for 10 GB of data, and there is a $200 installation charge. If you consider that an hour of watching Netflix(s nflx) consumes about 1 gigabyte, you’re looking at about 8-10 hours of TV a month. AT&T(s t) seems to be learning from Verizon’s tactics. It recently hinted that it would sell its unimproved DSL lines (“unimproved” means they aren’t part of the fiber-to-the-node U-Verse deployment), according to Dave Burstein, editor of DSLPrime, an industry newsletter. This is, of course, after AT&T CEO Randall Stephenson admitted that DSL was an “obsolete” technology (although AT&T later tried to clarify its way out of that situation). And it makes sense. 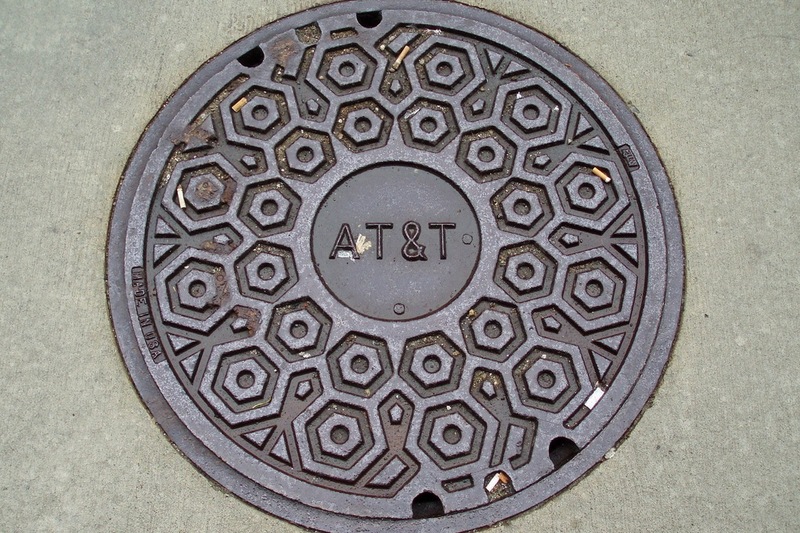 Why would AT&T want to keep DSL and its maintenance headaches around when it can offer a higher-dollar triple-play service on U-Verse and wireless access to those who can’t get anything else? I live in an urban Philadelphia area with no Verizon fios coverage. I am a stand-alone Verizon DSL customer (no voice) and received a letter a few weeks ago that Verizon was discontinuing stand-alone DSL for all customers. So the end is clearly close. I am a communications customer service tech for the past 33years.I have heard all of your reasoning time and time again.Let me tell you there are different strokes for different folks.Some of these people have been a customer for decades.Its all about service and customer satisfaction.No matter if it is 1.5 or 18 mbps .You go giving broken promises and see ya!.Lets face it this is for screwing the Union labor force with good paying Jobs of America in all of our communities to poorer and unemployed.While some CEO’s greasing his pocket with a new G whiz his board chairs.Its about money and greed.Not consumer care. Rural residents have been hammered both by the digital switchover in television AND the lack of good internet services. Don’t mention Verizon in my remote New England town. After years of complaining to the state about lousy phone service and NO DSL, we finally got DSL in half the town–the easy-to-wire half. The rest of us were on our own, so we hired an independent contractor to come up with a wireless system that works, but is vulnerable to the weather. Regulators have allowed Verizon to “cherry pick” the higher-end customers while leaving everyone else to fend for themselves. One issue: internet access is not regulated as a public utility. It should be. In the end as long as they make their money, they will say what it takes for us to buy. Live in the city shouldn’t need to buy the new Verizon package. Nice summary. One point not addressed: What will success in selling this new LTE-based service do to mobile LTE users? It’s not like there’s unlimited bandwith over the air. In rural areas, there probably won’t be a lot of contention for those airwaves. If Verizon were selling this in NYC I’d be concerned. So what happens to the copper? What Verizon is giving up is monopoly advantage. They will have to compete with Frontier or whoever buys the copper, unless the sale includes a non-compete clause. I can’t see that, because the copper is a regulated monopoly in or over the public right-of-way. Competition is overdue in this area. And R&D is making copper faster. It isn’t dead yet. Roland, if Frontier or CenturyLink really make investments in their copper I’d be thrilled. Although from a returns perspective those investments may end up being minimal if the company is to profit selling plain old broadband to those consumers. I live in a heavy AT&T area and the company has for years been wanting to convince me to move from DSL (which I get from them) over to their UVERSE service. Initially I did even think about it, but in the end decided not to go because of everything else they wanted to “add” to my internet service. They want UVERSE users to pay for home phone and TV as well, stuff that I don’t need. I’m also lucky to be maybe a block away from my DSL node and have never gone below 6mbps or have service outages. More recently, I have considered cutting the cord with DSL and moving to 4G from Clear. They do offer 4G home service at just $50/month without any data caps or overage charges, and I admit it’s the best deal you can get on 4G today. My only issue with Clear is their inconsistency in delivering 4G speeds and the lack of coverage in some built up areas. My home happens to be on the fringe of a large hole on their coverage map – tossing my bullet-proof DSL line would be risky. I’m a light data user, but I switched from ATT DSL to ATT U-Verse because I wanted to cut the cord on my home phone. ATT claimed I could not remove my POTS service and let me keep my DSL connection because that would be a new DSL order and they wouldn’t sign me up for a that because I was in a U-Verse area. I signed up for a 3Mbps internet-only service at the promotional rate of $20 a month for a year, and ported my little used home phone number over to a prepaid GSM card. Instead of giving ATT $68 a month for voice and 1.5Mbps, I give them $20 for 6Mbps, and my home phone costs me $100 a year. I save almost $40 a month. You don’t need to buy ATT’s TV and phone service, and I would highly recommend not doing so. So if I were on the new wireless network At 10 GB, I would have used up almost half my monthly allowance just to download the new OSX10.7 and its updates. We have a relatively slow DSL connection here. When I want to download such massive files, blazing speed is not nearly as important as getting the file without paying extra through the nose for it. I tell the computer to start downloading before going to bed, and so it is all done by morning ready for installation. They better raise their caps if they want a lot of people to go the expensive wireless route. See – it’s just because they want to bring us the “best suite of products” possible! Thanks Verizon! Well in the end if you don’t want the service don’t take it and don’t pay for it. They did just that. If you want to get Verizon internet you now MUST pay for a telephone whether you need it or not. This is to force customers into more expensive FIOS etc… plans. I just got an email that said, basically, that I’m “safe” until I move, or upgrade, then I have to pay for a phone that I would NEVER use (why would I use it when I have unlimited cell access?!). Thanks Verizon douches! I live in a very rural area in SW Virginia. The only option I have is HughesNet at $70/mo for 475mbytes/mo. I am lucky if I get 2.5 mbps. HughesNet also has a ‘limit’ they call ‘fair access policy’. If you exceed it you have limited internet access for 24 hrs (kicked off) unless you purchase a ‘token’ for $7.50 to get back on up to 3 per mo. HughesNet charges for everything including support which can take up to 2 weeks to have any repairs done. They are very difficult to work with. Every time there is a problem, I consider which less painful, calling them or putting my arm in the blender. I absolutely hate this company and do not wish them on my worst enemy. I would gladly pay $60/mo for 10gig. Also I really get dismayed at the authors of these articles. They obviously have access to unlimited high speed internet and just seem to ignore the reality of rural America that is still fighting to just get into the 21st century. Mark, I understand the issues that rural consumers face and did say folks might find this favorable to satellite. I live in SW VA too. Hughesnet has been so bad lately I can barely get my email at times. Verizon Homefusion is coming to me tomorrow & it will be MOST welcome. I wish I could be choosy about ISPs/caps/prices but I can’t. County Govt politics & attitudes don’t help either. ViaSat/WildBlue offers 17 GB @ Mbps speeds for $49 in truly remote areas. Not quite LTE speeds, but broadband and more of it for less. LTE is wonderful and while using my Verizon hotspot at home the other day, I considered getting rid of my pricey fiber. But no way I am going to switch to 10gb for $60! That is insane! We had to drop Verizon for internet/phone use etc, just too many bad tactics from the company and problems with the actual use. DSL was never going to be the go-to answer for high speed reliability due to needing that proximity to the node. Line of sight microwave radios work great, the speed is only limited by connection hardware, no distance issues, etc. The federal government is now opening up the white space channels that have been saved all these years…what will 2014 bring?! And yet Verizon claims that its LTE network will be “saturated” in some markets by next year and therefore they must be allowed to buy all available spectrum over all objections. If their network really is close to overloaded, and they don’t get the additional spectrum, then I have a hard time seeing how this offering will kill anything. On the other hand, this offering may come back to bite them in the T-Mobile lawsuite: if the network is so close to overloaded, how can they justify introducing this service? Is it truth or just typical sleazy exaggeration on the part of a sevice provider? My office is maybe 4000 feet from Verizon’s CO, in a downtown grid of densely populated streets. The fastest connection they offer me is 7 mbps of DSL, although I take only 5, because if I want to get 7 mbps, I would have to give up the 5 static addresses I have. I know the technology to get far more than 5 mbps over 4000 feet of copper has been around a while, more than a decade, but VZ doesn’t care. They don’t have to. Verizon thinks everyone should move to LTE, but then they want to limit the traffic that flows over LTE. They are in favor of laws that restrict the rights of communities rights to build their own fiber networks. They want to force their customers to use a second-rate infrastructure, because the believe that will optimize their profit, but I don’t believe that is true. They absolutely do not care if their customers are happy. Kevin F., don’t you think my skepticism is warranted?